This is our HIIT THE DECK WORKOUT. 1. A deck of cards. Take the deck of cards and divide into 4 decks, 13 cards each. Flip a card and complete the designated set. Continue to flip till the deck runs out. ​Try it and let me know what you think! Set timer for 7 intervals of 1 minute, allowing about 7 seconds for transition between exercises. Complete the exercises in the following order, as many reps as possible in 1 minute. Each suit represents an exercise. intervals are 20 seconds work/10 seconds rest. Shuffle the cards and divide them into 4 decks of 13 cards each. Set your timer to :20 work/ :10 rest (I use the Gymboss app). 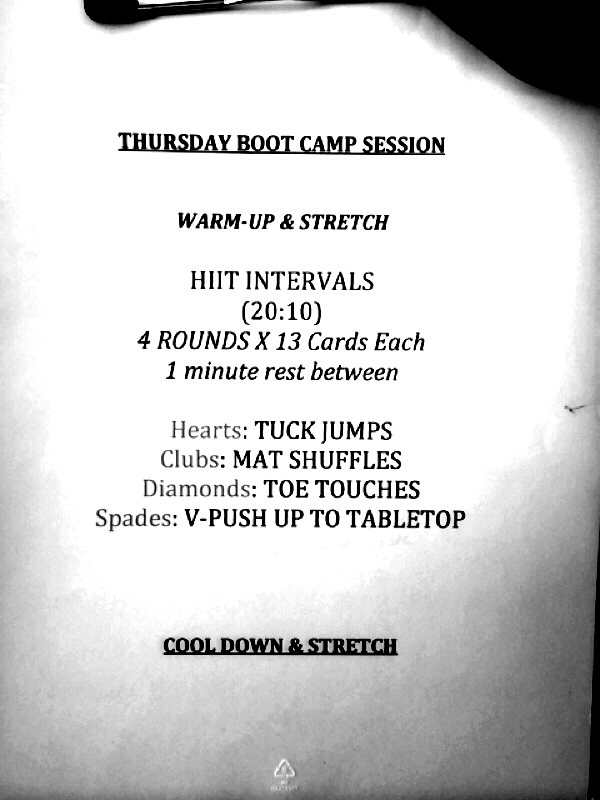 Flip over the top card of one deck-complete the corresponding exercise with all-out intensity for 20 seconds. Rest for 10 seconds as you flip over the next card. Repeat for each deck of cards, resting 1 minute between rounds. Make sure to warm-up and cool down before and after your session. 20 seconds work/10 seconds rest. This video shows the last round of our workout. Tip: count your reps and try to maintain or exceed each number for each :20 interval. Complete 12 reps of each. 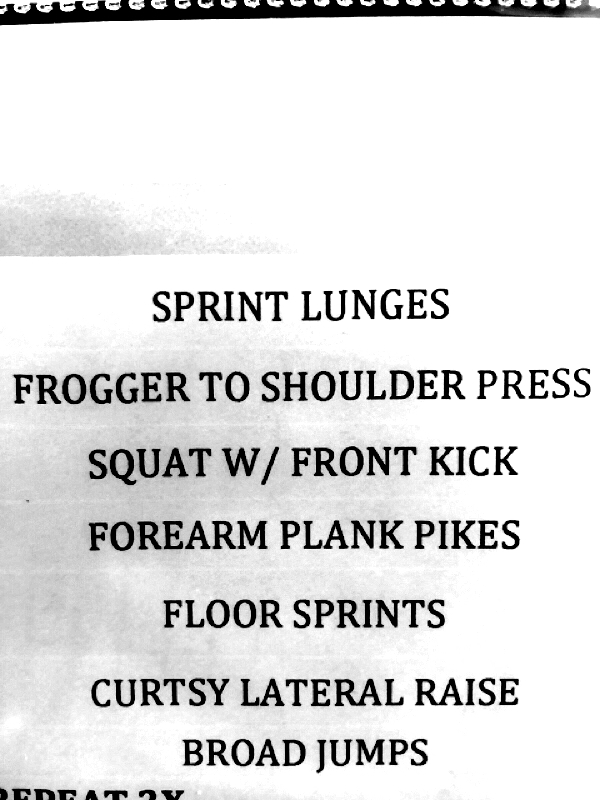 *tip: substitute different exercises to change up the workout as needed/desired. Sometimes life gets crazy, and you just don&apos;t have time to get your workout in...no excuses, it&apos;s just the truth. Well here&apos;s a simple workout you can do anywhere, anytime! Repeat for allotted amount of time. Did you know you can train your abs everyday? It's true--and it may be the key to helping you build up your inner core strength. Follow this 15 minute plan at least once a day you'll feel AND see the difference! You can change the exercises as often as you'd like. The key is to do them! 1. Choose which exercises you will do for Crunches and Obliques. You can keep these the same for each round or change them up each time. You can do this on your own as well, just complete 1 minute of cardio between each round. Partner 1 completes each ROUND while Partner 2 performs toe touches, then switch. Add 1 exercise to each round (starting from the beginning) until 10 rounds are complete. Complete 10 reps of each exercise for each round.